Its been very cold lately in Melbourne and its not even winter yet! 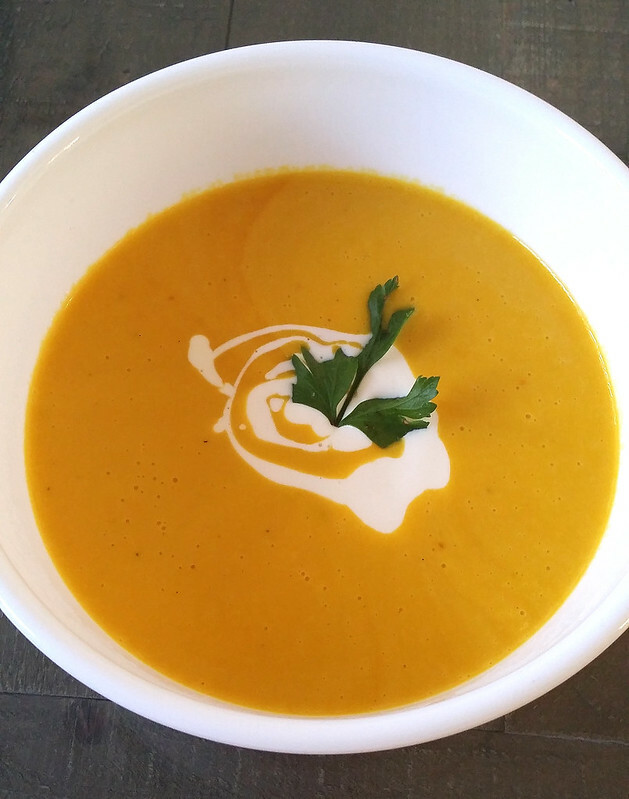 Particularly in the past week, it has been raining everyday so my husband has been asking for winter comfort food-pumpkin soup! He absolutely loves pumpkin and especially that we’ve grown our own pumpkin this season, he was very excited almost like a little kid receiving a present, lol! 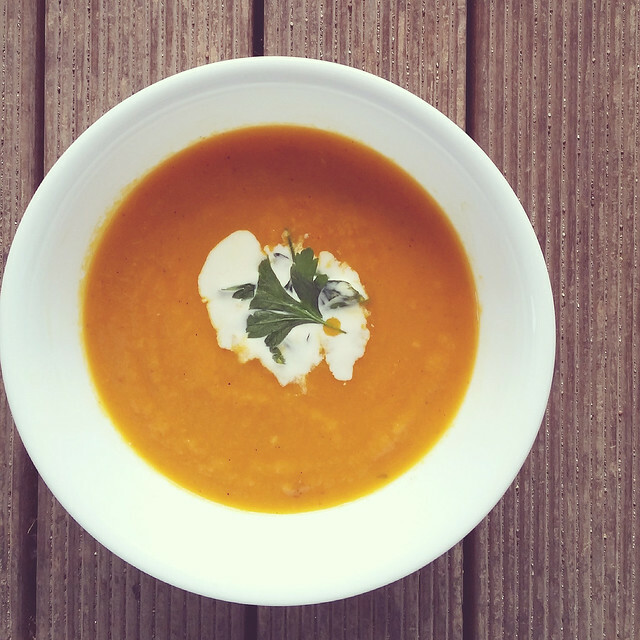 This is a very simple and easy recipe, but according to my husband, superbly tasty! 1.Heat butter and saute garlic. 2. Add the pumpkin pieces, cummin, stock and water. 3. Cover with a lid and bring it to a boil. Then let simmer for 20minutes. 4. Using a handheld stick blender, blend all the ingredients thoroughly in the pot. If you’re using a blender, wait a couple of hours until all the ingredients have cooled down before putting it in your blender. 5. Once blended, add salt, pepper and thickened cream and let simmer again for 15 to 20 minutes. Serve hot with some bread on the side! 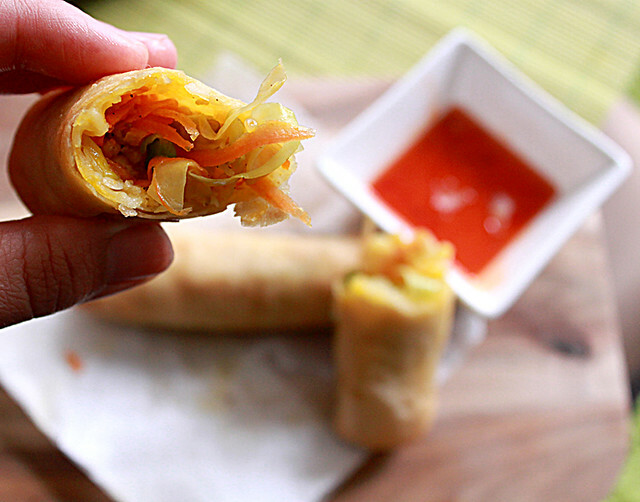 Spring rolls make the best appetisers for any gatherings, big or small. What I love about them is that they are so crunchy on the outside and very moist on the inside. 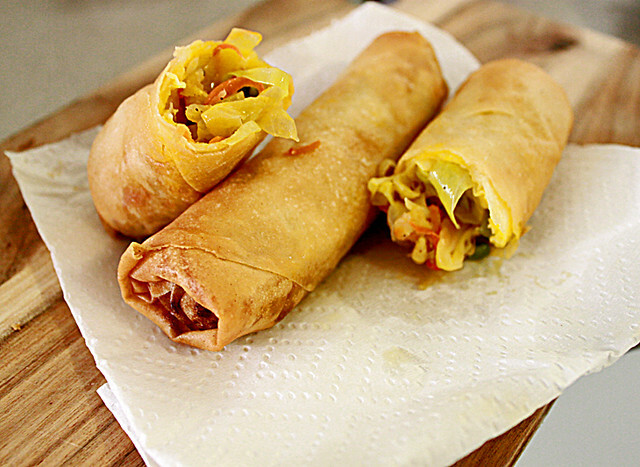 One spring roll is definitely not enough, two, three…heck I can even gobble up 5 or more depending on how big they are. Usually home made spring rolls are larger than store bought ‘cocktail’ spring rolls. Though tedious to make, I still prefer making it myself. I roll them a bit bigger, around 6-8cm long so it saves me time standing up rolling one by one. 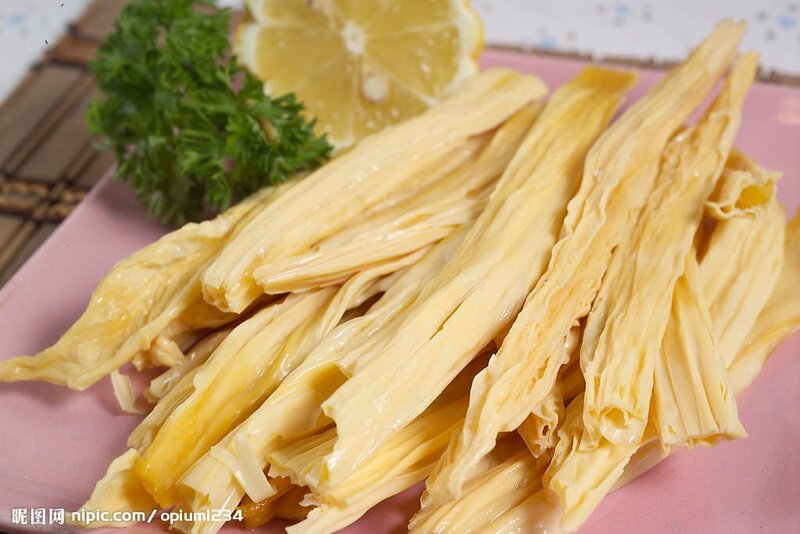 For those not familiar with jicama, this vegetable is used in the filling of the spring roll. Its a sweet root vegetable kind of like a turnip. And this is how you roll a spring roll. 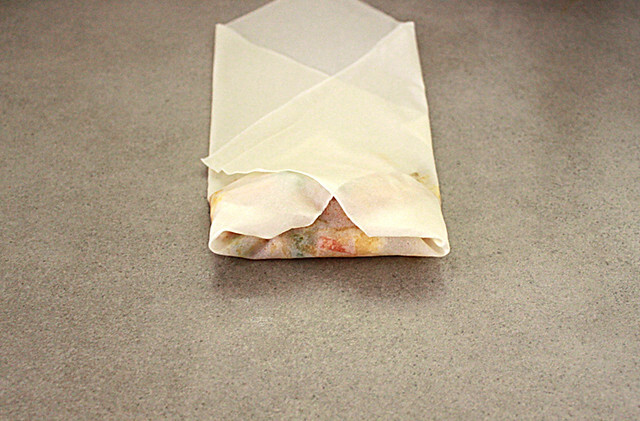 Get a big sheet of spring roll pastry and put the filling in the middle towards the end bit. 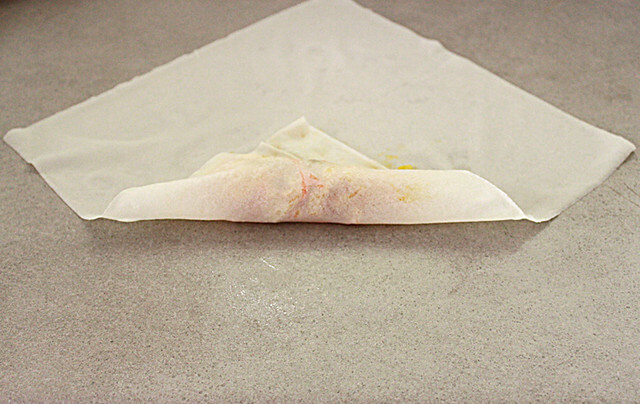 Then roll the side closest to you, covering the filling. Roll the left flap in. Roll the right flap in. 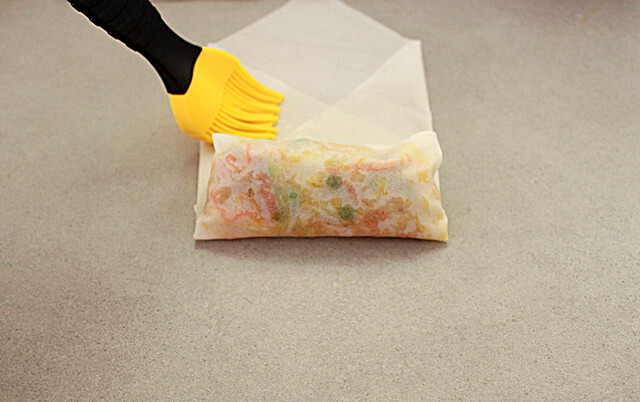 Then roll it once before brushing it with the cornstarch + water mix (acts as a glue). Roll it closed. Seal tightly. And deep fry for a couple of minutes. 1. Heat peanut oil in a pan and sautee the garlic. 2. Add all the vegetables and stir for a few minutes. 3. Season with salt, pepper, sugar and give it a final stir. Do not overcook or it will become soggy. 4. Leave to cool before wrapping them in the spring roll wrappers. 5. 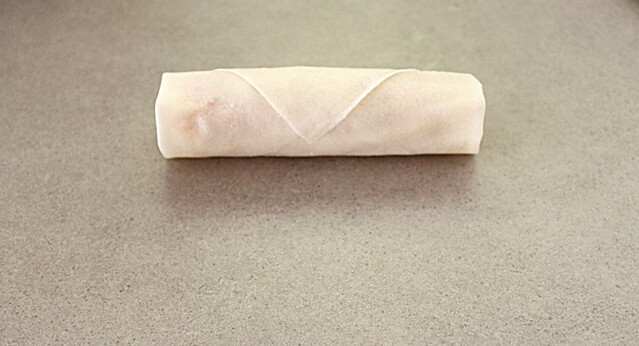 See pictures (above) on how to roll spring rolls. 6. Heat up vegetable oil in a wok/deep fryer. When it is hot enough, fry the spring rolls until golden brown. 7. 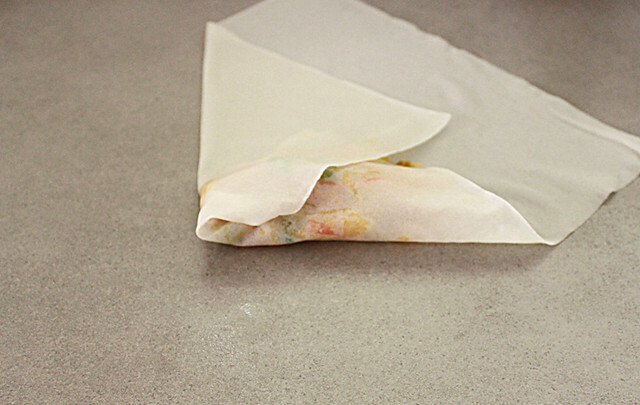 Drain excess oil on a paper towel and serve immediately with some dipping sauces. This is my husbands favourite when he wakes up on a lazy Sunday. Flame grilled eggplant/aubergine sort of like a dip. 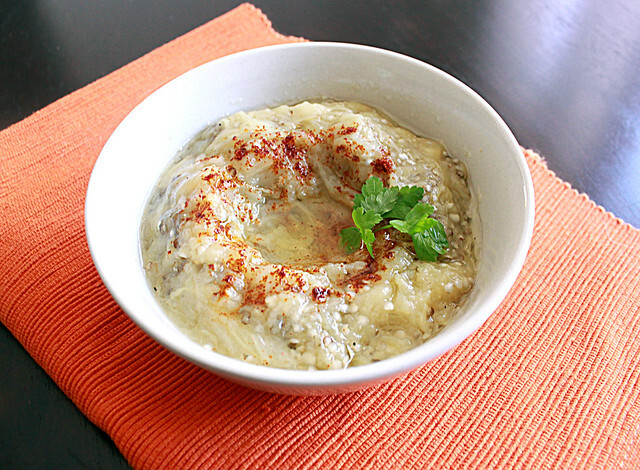 But then an eggplant dip is called baba ghanoush which is made with tahini and other seasonings. This one here, is basically just an eggplant with oil and salt. Easy to make but very smelly when cooked on a flame. Not to mention the burnt skin goes everywhere. But it taste so good! Just pop it on the stove like this. Turn it around after a few minutes. It needs to shrink in size and start peeling before you remove it. Then start peeling the skin off. Beware, its very hot! Use a fork to give it a good mash and season well with olive oil and salt. I added a couple of garnishes for some extra colour – for photos sake, but its not necessary. 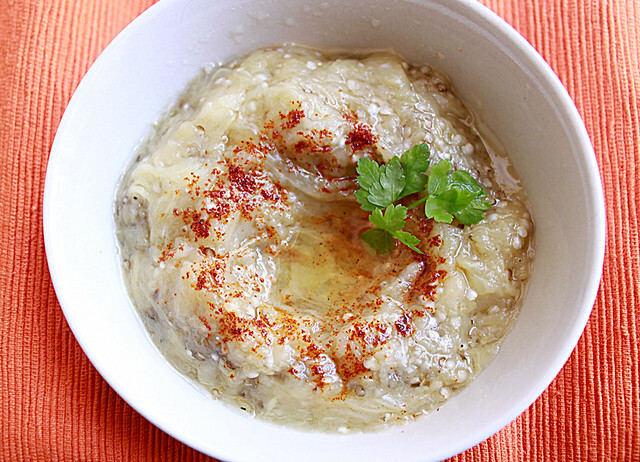 Serve with Lebanese bread and you have yourself a quick and easy healthy brunch! 1. 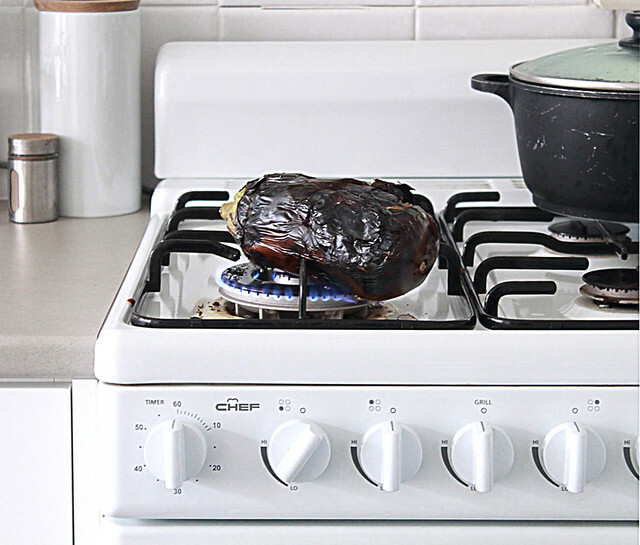 Wash the eggplant and put it directly on the stove. Leave for a few minutes then turn around until all sides are equally cooked. 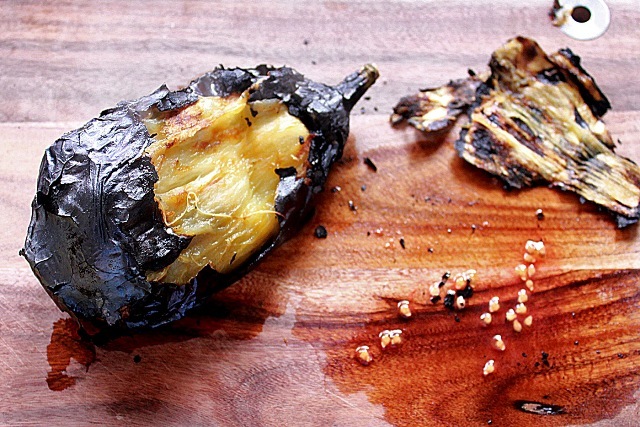 Eggplant should shrink in size and the skin should start peeling off. 2. 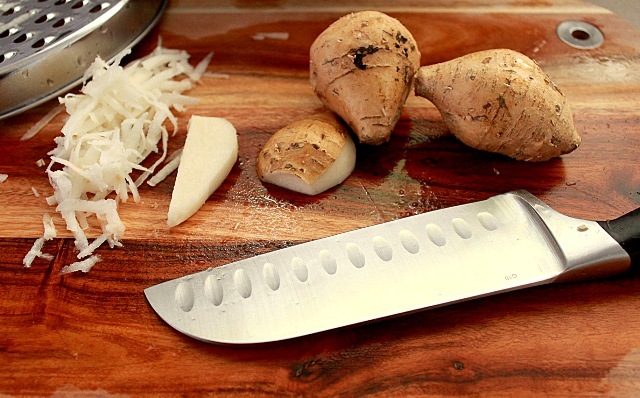 Remove from flame onto a wooden chopping board and leave to cool for a bit before starting to peel the entire skin off. 3. Place the filling on a plate/bowl and use a fork to mash. 4. Season well with oil and salt. Yet another Eid/Raya favourite, a vegetarian soup dish with rice cubes (I only say vegetarian as its served with no meat pieces but theres shrimps paste and chicken stock in it!). My version is a little bit red as I went a bit nuts with the chilli, but technically the colour of the soup is supposed to be yellow. 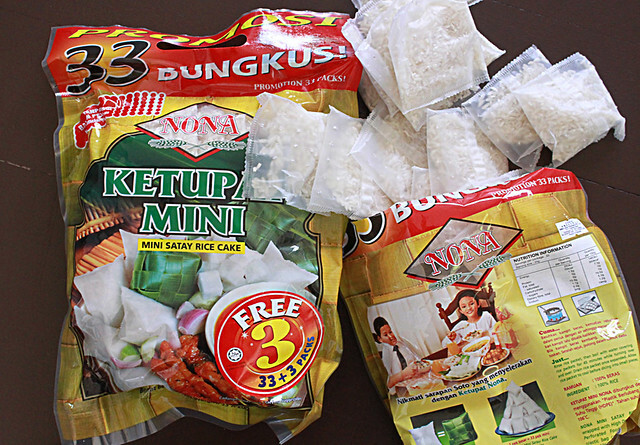 Usually I’d make the rice cubes/nasi impit myself, but ever since I found them at the asian grocers, I no longer make them. I don’t usually take shortcuts, but its just rice and they all taste the same, no? 1. In a medium size pot with water, boil rice cubes for an hour (follow instructions on packet). Remove and leave to completely cool before refrigerating for 2 hours. 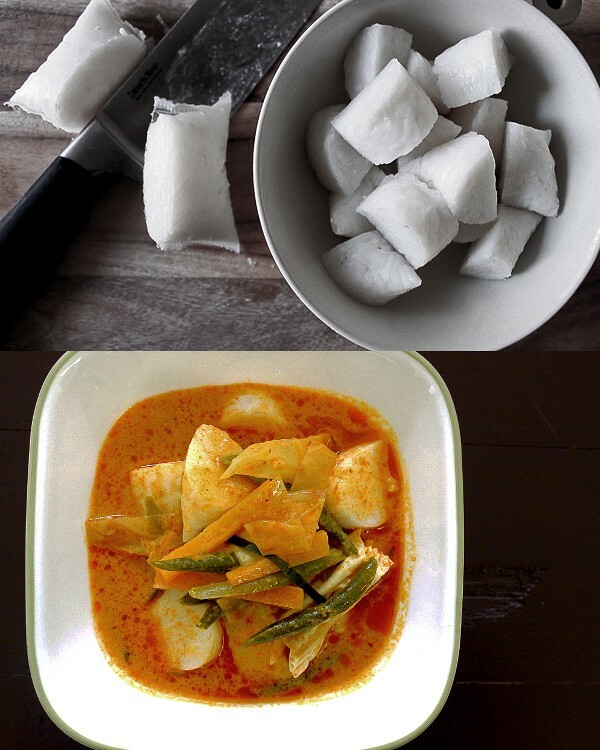 Rice cubes need to set firmly before cutting. 2. 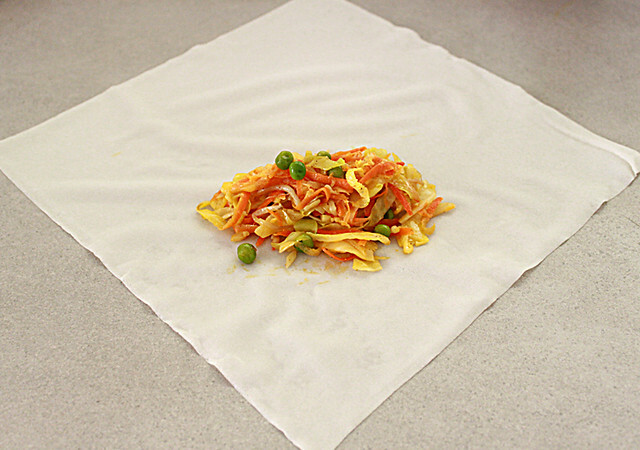 Cut all the vegetables and blend the ingredients to make the paste. 3. In a medium pot, heat up oil and saute the blended ingredients until oil separates. 4. Add coconut milk, chicken stock and kaffir lime leaves and bring to a boil. 5. Put the vegetables and bean curd sticks; and simmer on a low heat for 15 minutes. Season well with salt. 6. Serve with some cut rice cubes for a one pot meal.